29 years ago I was impatiently anticipating my wedding day. For the previous 11 months, Duncan and I had been in a long-distance relationship and I had all the ‘symptoms' that are typically associated with ‘being in love'; Duncan became the focus of my thoughts as I craved emotional and physical union. My thinking about him became an obsession, uncontrollable and involuntary. I became emotionally dependent upon him, experiencing intense mood swings between elation when I was with him and depression when I was separated from him. He was perfect in my mind and could do no wrong. Had you read this description of my experience without the knowledge that I was in the throes of romantic love, I would not have been surprised if alarm bells were going off in your head as you entertained the notion that I was a mentally unstable individual. However, I am counting on the knowledge that as a fellow human being, you will be able to identify with my experience in the context of your own experience of romantic love. You may also also identify with feelings of disappointment, disillusionment, confusion or sadness when these feelings dissipate. Why is it that this shift in our emotional state occurs over time? Does it mean that you have fallen ‘out of love', you no longer have anything in common with your partner or have become just plain bored? Should you ‘call it a day' and go your separate ways? Unfortunately, many couples struggle to re-adjust and the relationship breaks down as a consequence of ongoing stress. How is it then that some relationships do survive this period of re-adjustment and go on to thrive, so that 20 years later the couple are still ‘in love'? Now we have the answer, thanks to recent research by biological anthropologist, Helen Fischer who has a particular interest in brain systems and romantic love. Romantic love emanates from the most primitive parts of the brain where other basic needs such as hunger, thirst and shelter also originate, making it an overwhelming and almost impossible need to ignore. Using brain scans to observe the chemical activity in people who report to be ‘madly in love', Helen Fischer's work discovered that dopamine circuits become super active when you feel intense romantic love. Dopamine is a neurotransmitter that helps control the brain's reward and pleasure centres. It is released in response to rewarding experiences, making you want to do whatever you can to get more of these experiences. Have you ever done ‘crazy' things or taken big risks all for the sake of love? Have you experienced intense energy and pure happiness that is ‘drug-like' in its effect? This is the dopamine effect being produced in generous amounts, urging you on to win the prize. Your focus on the object of your affection becomes obsessive as you experience the exhilaration and sheer pleasure of being with your beloved. Why is it then that the heady, obsessive, uncontrollable feelings that are attached to romantic love almost invariably disappear after the initial experience of ‘falling in love'? Why do couples often report that one or both of them have fallen ‘out of love' almost as swiftly as the initial ‘in love' experience? Dopamine is quite a temperamental chemical, thriving on novelty and unexpected pleasure and seemingly ‘bored' by sameness and routine. So at the point that the prize is a dead certainty, dopamine production in the brain settles down, as if to say what’s the point of wasting all that precious motivation potion telling you to pursue a reward when, likely as not, the reward will show up anyway? When this happens, your emotions settle so that what was once exciting and exhilarating becomes ordinary and routine. It is at this point that many relationships begin to break down. So what is the secret to a long and happy relationship? Helen Fischer compared a group of new couples ‘in love' with a group of long-term couples (20 or more years) who reported they were still ‘in love'. Her research discovered that this latter group of couples had the same amount of dopamine in the pleasure and reward centre of their brain as that of new couples experiencing ‘romantic love'. The one difference was that anxiety, prevalent in the same region of the brain in new couples, was not evident and instead there was activity in the brain for calmness, suggesting that in long-term relationships couples are much more secure in their relationship. The question is, how does a couple sustain a relationship when dopamine production slows down in the brain? Helen Fischer has done a meta-analysis of a number of studies in happiness and has concluded that only one thing is needed to sustain a happy marriage – positive illusions (the belief that your partner is still the smartest, funniest, etc. ) In almost every long-term couple relationship, each partner had an enormous amount of activity in the brain region linked with positive illusions (the region just above the eyes). Meaning that if you can overlook the bad parts of your partner and only see the good parts, you will maintain a long, happy relationship. You have to train yourself to look at the good. As for dopamine? By learning not to take your partner for granted and deliberately keeping the novel and unexpected in your relationship, your dopamine circuits will continue to be stimulated bringing optimism and elation into your ongoing relationship. I am pleased to report that 29 years later, despite the ups and downs that are a part of every long-term relationship, Duncan and I are still ‘in love' and look forward to celebrating our wedding anniversary shortly. Have you fallen out of love with your spouse or partner? 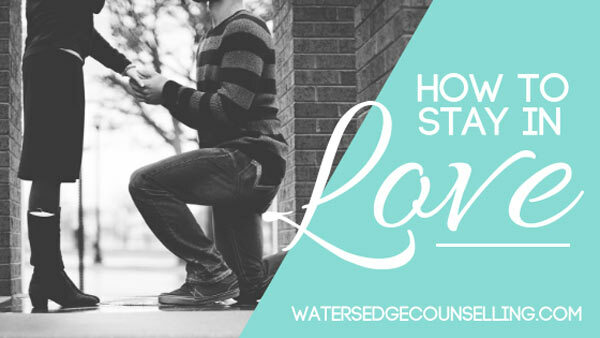 Do you need some support to start, or keep, a healthy and whole marriage? Here’s what you need to do: Contact Colleen on 0434 337 245, Duncan on 0434 331 243 or Rachel on 0422 177 193 for a FREE 10 minute consultation on how we can best help you or book online .